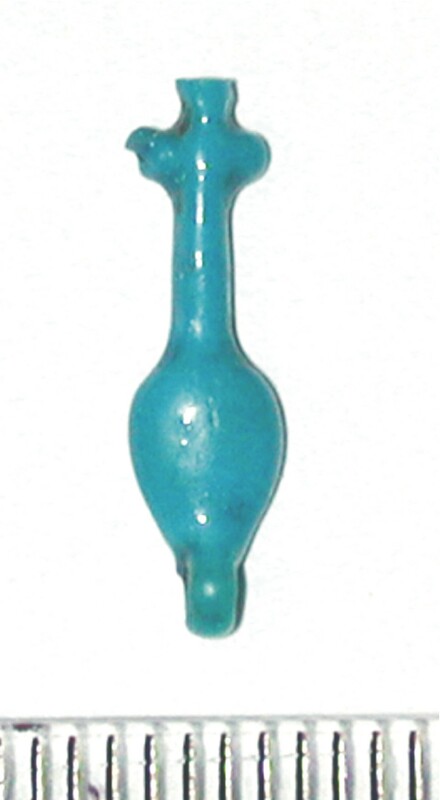 This is a nefer amulet or pendant. The word ‘nefer’ in ancient Egyptian is often translated as ‘beautiful’. However, it also has conotations of youthfullness and perfection. It is associated with the new growth which followed the annual flooding of the Nile.